Kyle Scott, along with wife Jennifer Scott, own and operate Scott Aviation, Inc. of Fort Morgan, Colorado which has served northeastern Colorado for 15 years providing agricultural aerial application, as well as, other aviation related services which include some local aerial fire suppression support. They have two daughters Piper Shyanne and Skylar Reese. Currently the Scott’s own a Thrush S2R 510-G10 which has 1,000 hp engine, one Air Tractor 402 as well as several general aviation aircraft including a twin-engine Cessna 310, two Cessna 150’s and a Cessna 172. Kyle has 27 years of aviation experience. He is a Commercial Pilot with Single and Multi-Engine, Instrument and Rotorcraft ratings; his flying includes over 10,000 hours, the majority of which is related to agriculture. Some of Kyle’s other achievements and responsibilities include serving on the Morgan County Rural Fire Board, being a current board Member and past Treasurer of the National Agricultural Aviation Association (NAAA), Vice-president of the Colorado Agricultural Aviation Association and current FBO manager at the Fort Morgan Municipal Airport. In 2013 he was recognized and honored by the Fort Morgan Fire Department as an honorary member, only 37 other individuals have received this honor since the departments founding in 1906. He has voluntarily assisted the area fire departments with numerous grass fires for 15 years, including the Last Chance, Merino fires and most recently in the Gutterson Ranch Fire in the fall of 2015. In 2014 he was honored to receive the NAAA Larsen-Miller Community Service Award, this award is presented for outstanding contributions by an NAAA member to his or her community. 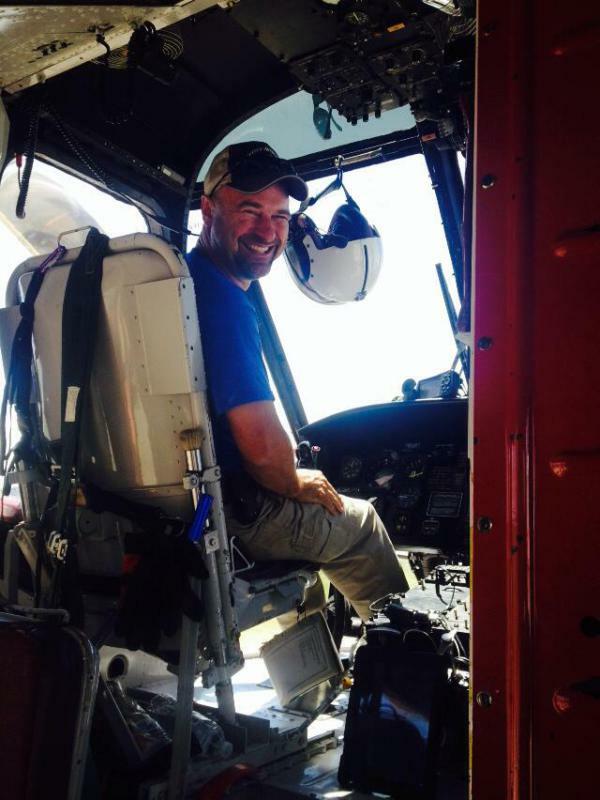 Kyle understands the importance of safety and training, and has hosted aviation fire training events at the airport. His stress on safety first is not limited to just aerial fire application, he applies it in all his operations and strives to operate top notch equipment, constantly investing in improving his aircraft and related equipment. When the AMSAFE Inflatable Restraint system became available for the Air Tractor aircraft Kyle was the first operator in the world to purchase and install a retrofit kit into his aircraft. The Scott Aviation and CO Fire Aviation fleet is 100% equipped with this important safety feature for their pilots. While Scott Aviation, Inc. specializes in Agricultural Aerial Application, Kyle and partner Chris Doyle noticed over the past several years the increase in wild land fire activity. It is with that in mind CO Fire Aviation was formed to provide additional assets in order to enhance the aerial fire suppression capabilities. CO Fire Aviation is a professional and dedicated aviation company whose sole purpose and focus is to provide the service of Aerial Fire Suppression to not only the local community but to any community who might need assistance.